Personalized Center Line Fender Cover 6'' x 15''. 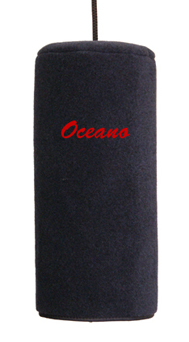 Personalize your boat fender covers with an embroidered design, boat name or clip art logo! Our boat fender covers are made from a UV resistant, non-marking material that is incredibly durable yet soft enough to leave the hull of your boat looking as good as the day you bought it. Keep your boat looking new and protected with personalized fender covers! We use only the finest threads for our embroidery so you can be sure your boats name will be represented well for a long time to come. These boat bumper covers are easy to use, easy to clean and easily the best choice for bumper covers on the market. Perfect for any boat warming gift! Made from 100% recycled materials in the USA.